Cookies, Crayons, Classes, & Chaos: Parenting the intense, explosive, inflexible, sprited, twice gifted child. Parenting the intense, explosive, inflexible, sprited, twice gifted child. A rose is a rose by any other name, but a challenging kid can have lots of different labels. I'm not against labels if they help me get resources, find support, and give some validity to the challenges we face. Emotional intensity seems to be a common factor in all these labels, along with the autism spectrum and ADHD and sensory processing disorder. In a decade our understanding of brain science will figure out the nuances, similarities, and distinctions between these labels. But in the meantime, what are parents to do in the face of everyday struggles and and challenges? An Intense Life Blog - where intensity is embraced and celebrated as an asset for children when channeled into positive means. She offers 7 tips for working with emotionally intense kids. Celebrate Calm - providing specific strategies for dealing with behavioral outbursts in positive, calm ways to help parents get the respect they desire while respecting the child. Lives in the Balance: Cooperative Problem Solving Approaches to Behavior - helping parents and teachers recognize the skills that kids with behavioral challenges are lacking, like flexibility/adaptability, frustration tolerance, and problem solving and help build them. Rather than viewing them as unmotivated or manipulative, Ross Green's approach helps builds mutual respect between adults and kids by meeting needs and building skills. 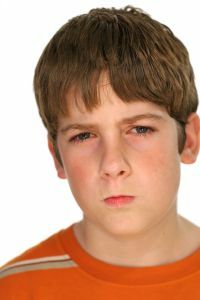 Kidlutions - providing anger management tools for kids and their parents and offering special tips and guidance for understanding and helping angry/intense kids. Help for picky eaters and moms who hate to cook.